Medicine isn't black and white. 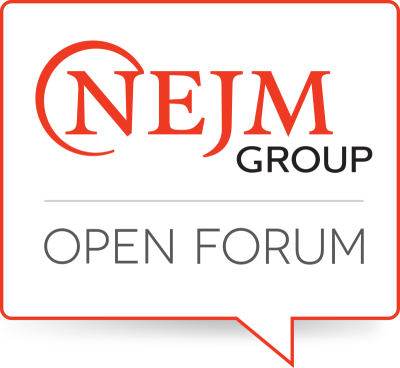 NEJM Group and Medstro.com have joined together to create NEJM Group Open Forum, a series of live discussions intended to generate active conversation around important--and sometimes controversial--ideas. NEJM Group brings you this interactive forum of authors, experts, and fascinating physicians to discuss with you the intricacies of modern medicine, cutting edge research, and career development! Topics will vary from current research results that impact your practice and your patients, to interesting people in medicine and how they got there, to the challenges and changes in maintenance of certification. To ask questions and shape the dialogue, follow along and don't be afraid to post a question or comment. NEJM Group products and services include the New England Journal of Medicine, NEJM Journal Watch, NEJM Knowledge+ and NEJM CareerCenter. For more information, visit NEJMGroup.org.